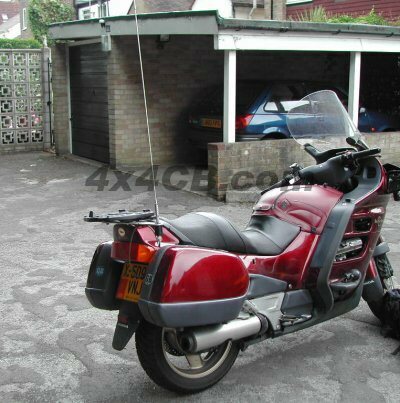 CB Radio can be used on bikes! 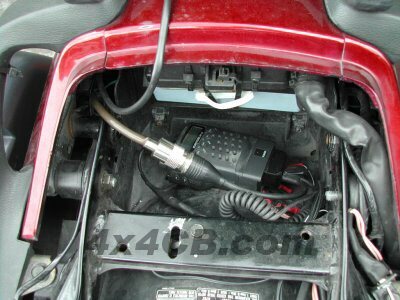 Many touring clubs use CB radio to keep in touch when on the road... PMR446 only gives a very limited range (you can be out of range in seconds at autobahn speeds!) so CB radio is a logical next step. This photo is of a Maycom AH27 under the seat, with battery illiminator providing power and external antenna connection. This illiminator is an optional extra with the Maycom, but one is included with the Midland 42. To get a good earth, our Electronic Ground Plane is used. Here it is fitted on a DV27 Rigid 3/8" aerial which has a shock spring for some flexibility and a thin top loading coil to effectively bring most of the radiating part of the aerial above the riders head for improved range. 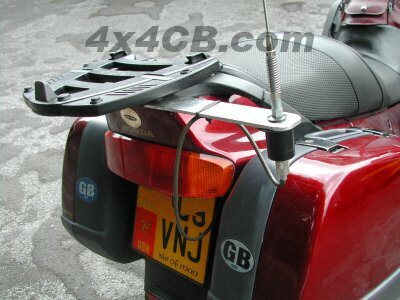 Shown here with top box removed for clarity of the photos - length of mounting bar means the aerial sits nicely next to the box when it's back in position. A different view of the EGP on it's mount. Please excuse the single tie-wrap and dangling cable - photo was taken mid-install ! 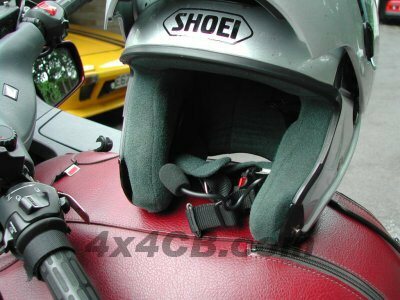 Helmet mic&speaker sets are available with either a stick-on or sew-on microphone designed for full face helmets, or a boom-mic for open face lids. The photo shows the latter - the foam windshield is designed to reduce some of the background noise. 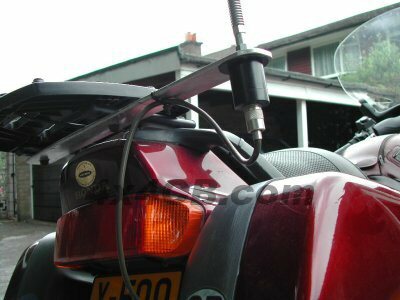 Also shown (just) is the velcro strap for the remote PTT switch (press to transmit) on the handlebar. Unfortunately the actual switch itself is abscured in the photo. 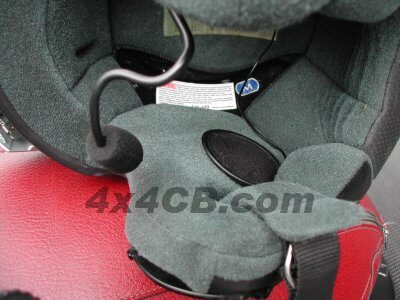 Shows the stick-on or sew-in earphones that go on both sides of the inside of the helmet. Very thin so you won't feel them, good enough quality for clarity at volume. If you want to know more, just telephone or email us! We are in the process of adding to this section of the site, so please check back again soon!